Edelweiss Lodge and Resort is close to all kinds of sights you’ll want to see. If there’s not a guided tour available, we’ve still got a way to get you in. Alpine Adventures offers you tickets (if you need them) to all the area’s big attractions you won’t want to miss. 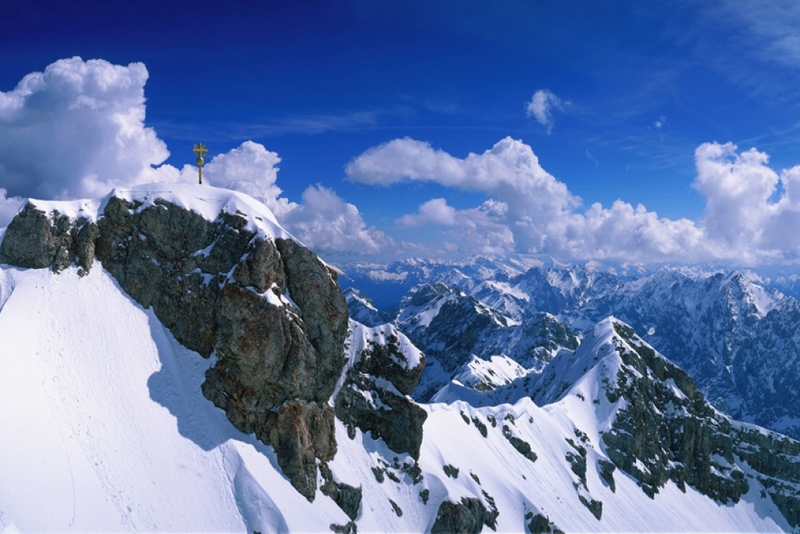 Zugspitze is a mountain that has the highest elevation in Germany. Go up for the best views around, and catch a sight of four different countries, three glaciers and enjoy a full range of activities. 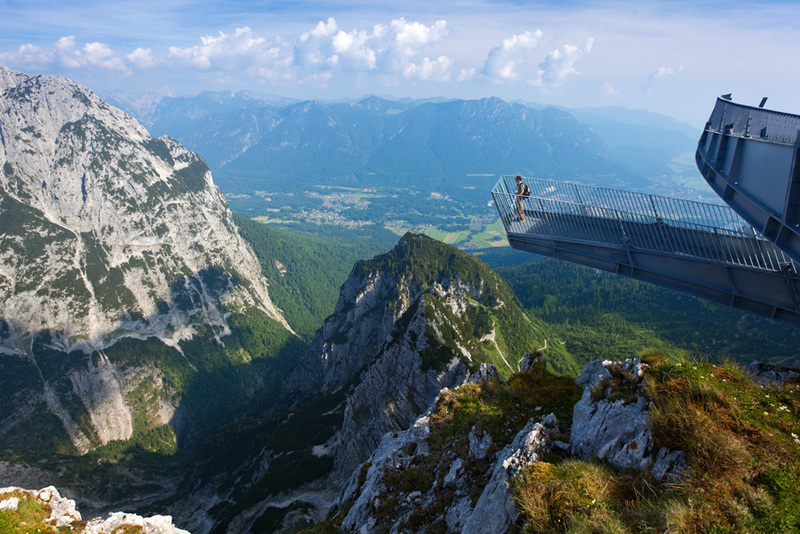 This unique platform lets you hover 3,000 feet in the air for unmatchable views. It puts you right between heaven and the Höllental Valley. It’s a slightly more extreme way to take in your mountain views. All of our tours are designed to take you to the main attractions in the area. But, if you just want to get tickets, and secure your own transportation there and back, we’ve got that covered, too. In 1936, Garmisch-Partenkirchen hosted the Winter Olympics. 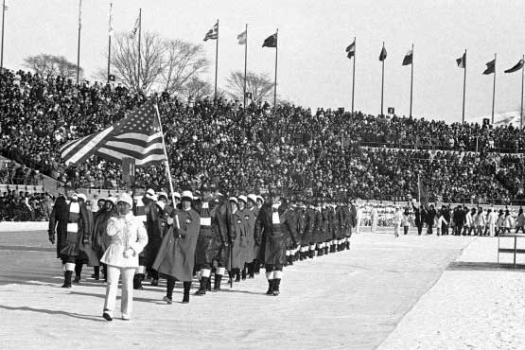 Explore where the opening ceremonies were held and take in the history that marked that landmark event. The stadium is also host to the Four Hills Tournament, a prestigious annual ski jumping competition in January. The Höllentalklamm offers a unique, bizarre landscape that gives you some great insight into the forces of nature. It includes gorges up to 150 meters deep, countless waterfalls, huge rocks and chunks of ice, as well as winding paths, walkways, bridges and tunnels. It’s a highlight of any visit to the Zugspitze region. 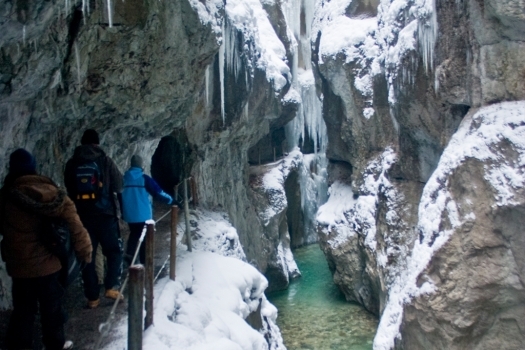 The Höllentalklamm is a manageable hike for beginners, and makes a great stopover point for day trips. 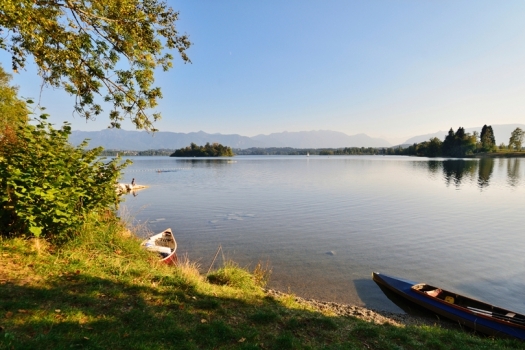 Located a short 30-minute walk from the Edelweiss Lodge and Resort, the Riessersee is a scenic lake you’ll enjoy exploring. 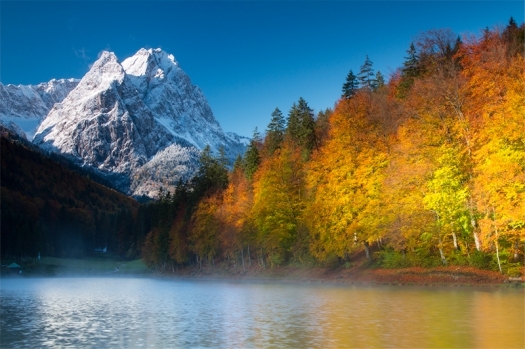 It’s best seen in the morning, with light reflecting off the Waxenstein Mountain and a mirror reflection off the water. Ask Alpine Adventures for directions to the lake. 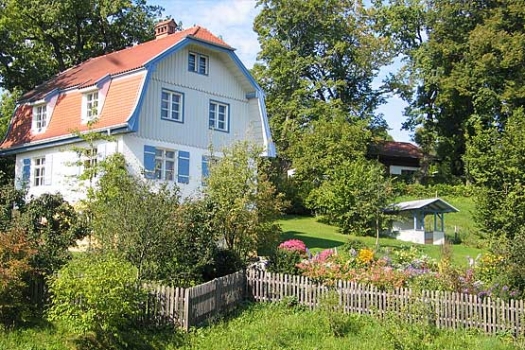 Gabrielle Munter and Wassily Kandinsky bought a house in nearby Murnau in 1909, where they created many of their most famous paintings. This museum is set to its original interiors, and the view to Murnau looks very much like it did in Munter’s paintings. 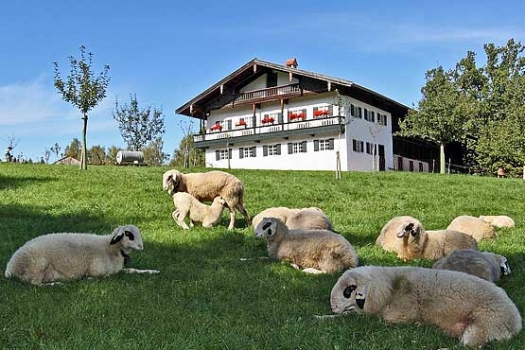 Historic Bavarian farmhouses have been relocated from all over the area to create this open-air working farm museum. You can visit the farmhouses at your pace, and watch local workers farm the land with techniques used in the 1600's. It’s located a 45-minute drive north near the Kochelsee Hydroelectric dam, which you might want to visit along the way. It was a marvel of engineering in its time. 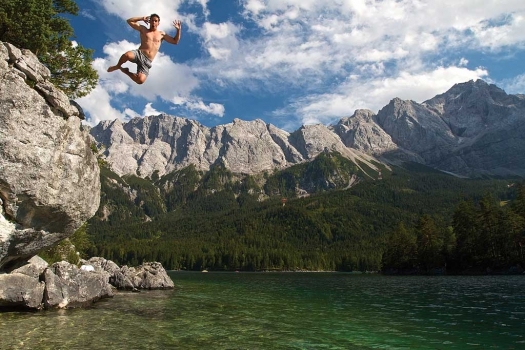 Eibsee is a peaceful mountain lake nestled against the dramatic faces of the Zugspitze. In the evening, Alpenglow, an optical phenomenon that emits a red glowing band at sunset, illuminates the shimmering water and massive craggy peaks. During summer, you’ll enjoy a swim in the refreshingly clear waters. An easy footpath takes you around the lake in 1.5 hours by foot or 40 minutes by bike. Americans mostly refer to this hut as the “Halfway House,” but locals know it as St. Martin's. Either way, you’ll find it halfway up Kramer Mountain. 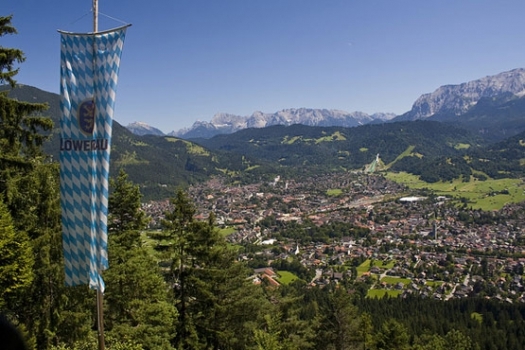 It has a dominating view of the Zugsptize and Garmisch Village below, and serves delicious Bavarian meals. During winter, the hut is the destination for a thrilling sled ride down to the valley. The walk up is steep, but it’s on a paved path and will take you about three hours to make it up and back. 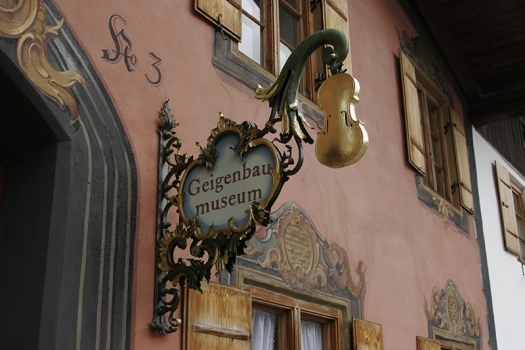 Nearby Mittenwald is considered one of the world’s premier violin centers. People from all over the world come here to study the skill of handcrafting violins. It makes an interesting day trip, especially if you’ve got an interest in classical music and craftsmanship. Andechs Monastery is situated on a hill overlooking scenic Ammersee Lake. 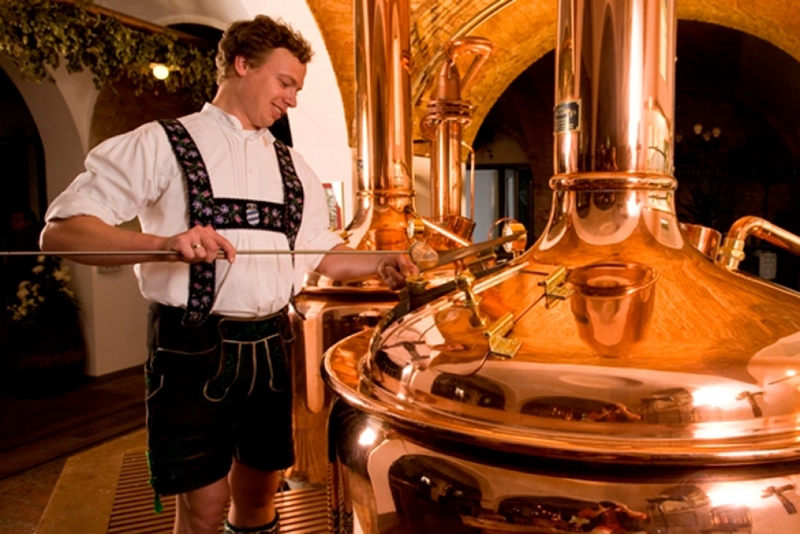 Peaceful beer gardens and Bavarian restaurants are things to do, along with sightseeing of course. Located about an hour north of Edelweiss Lodge and Resort. 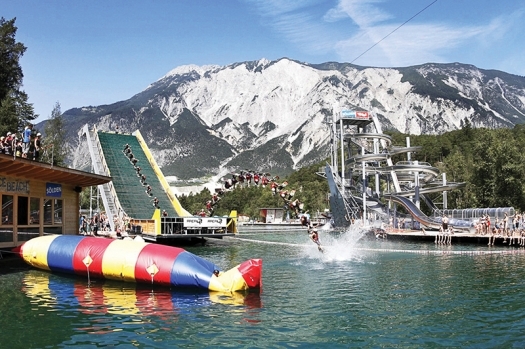 At the ultimate adventure park in Tirol, you will experience action and adrenaline kicks in an whole new way. Area 47 offers a full day of adventurous fun for adults, teens and kids, with a huge water slide park, high ropes courses, bathing lake, climbing area, slack lines, restaurant, beach volleyball and more. It’s located about an hour’s drive from Edelweiss Lodge and Resort. You might think about going white water rafting in the morning and visiting Area 47 in the afternoon. Check with Alpine Adventures for more information and directions. 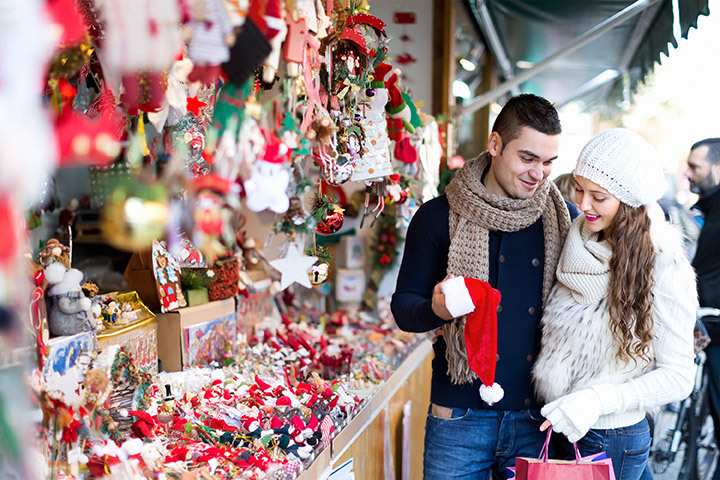 When it’s the season, we’ve got some exciting ways to show you how the locals do it up Bavarian style. 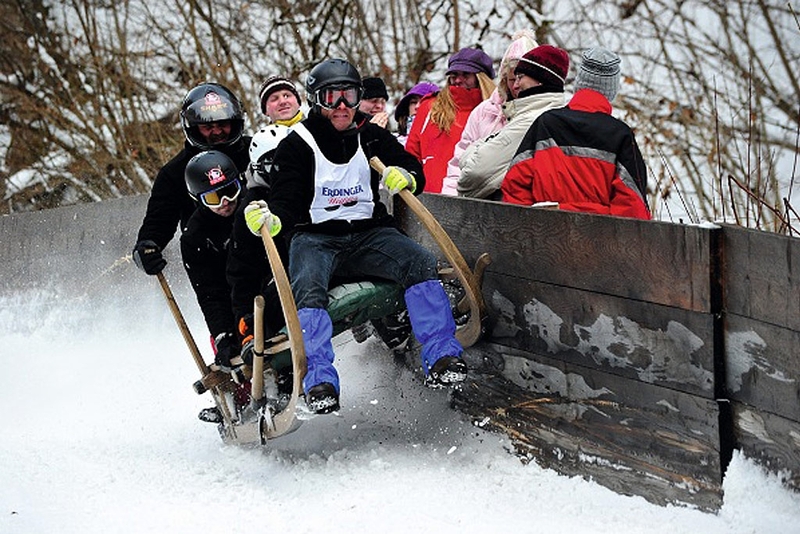 On January 6, Garmisch-Partenkirchen turns upside down when fearless women and men meet for the Bavarian "Hornschlitten" competition and sled downhill at more than 100 km per hour.